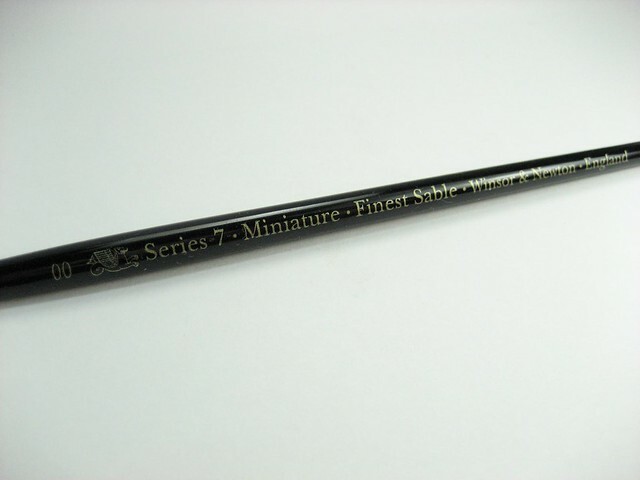 This arrived for me today from HobbyLink Japan, a Winsor & Newton Series 7 Kolinsky Sable Brush Short Brush No.00 (0.4mm). Been looking for a very good, fine brush to paint small detailed parts with. Previous fine brushes I've used (of the cheap $1.00 kind) don't fair well for me, after a while of use they lose their "pointiness." Lesson learned, if you want quality, you better pay for quality. This time around I wanted to try some Kolinsky Sable brushes which is taken from the hair of the Kolinsky weasel. Luckily when I checked, I found out that the Kolinsky is not on the endangered species list (whew!) and is actually considered a pest sometimes to farmers. According to literature from the site, this is used for water colours. Judging from that I guess it would be best to just limit this for use in water based acrylics paint like the ones made by Tamiya and GSI Creos in order to prolong its life. 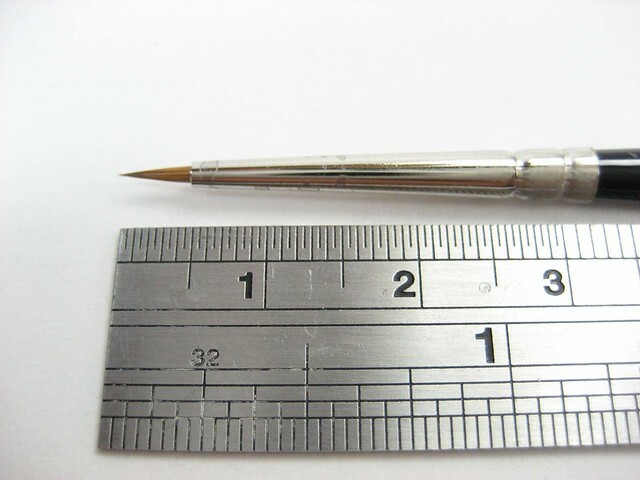 This Series 7 brush seems to have some history to it, according to the google cache article from the Winsor & Newton website. Series 7 is the world's finest water colour brush. 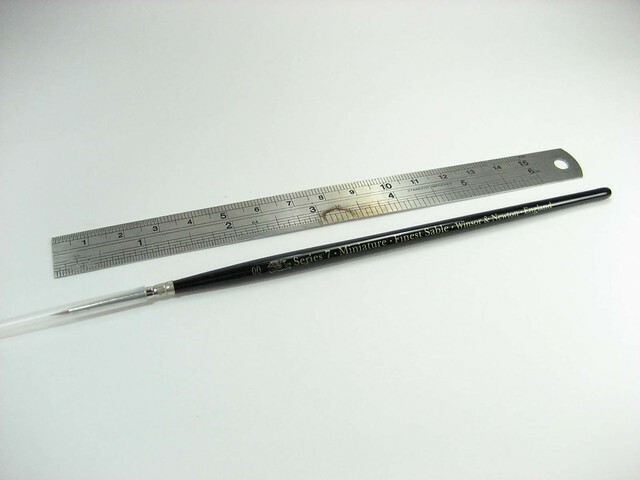 The standards of quality for this brush were set in 1866, when Her Majesty Queen Victoria gave orders that Winsor & Newton should produce the very finest water colour brushes in her favourite size; the No.7. Series 7 uses only the highest quality raw materials and enjoys hand made manufacture by our brush makers with years of experience. 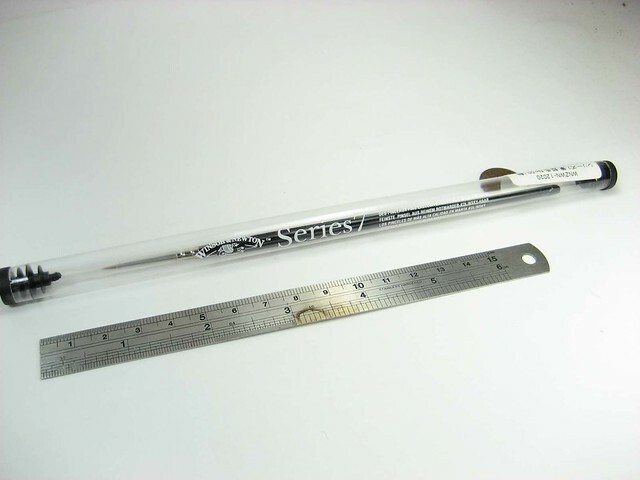 The brush is packaged in a clear plastic tube with plastic end stoppers. On top of that there is also a plastic tube on the tip to prevent additional damage to the brush during storage and transportation. 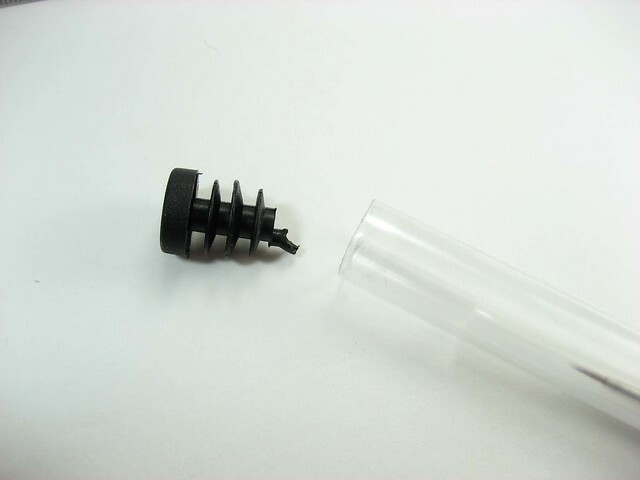 Here's a close-up of the plastic end stoppers. 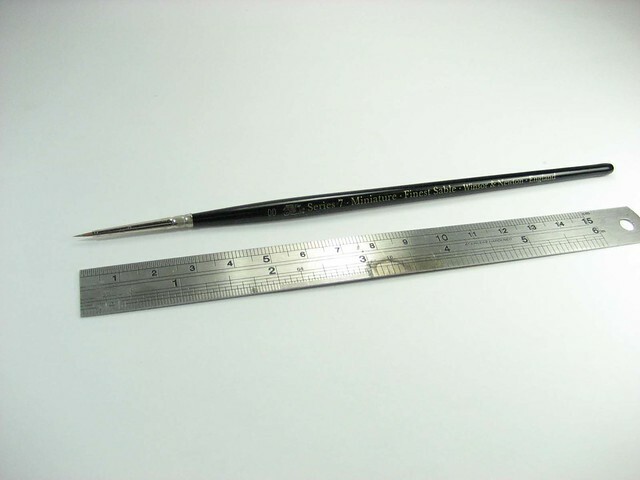 A close-up of the 0.4 mm brush next to a standard metric metal ruler for comparison. Another shot of the brush, this time with the plastic cap on. And a close up of the side of the brush with the Winsor & Newton Series 7 label. Can't wait to give this a test run by painting up some fine detailing on a model kit. Aside from this Series 7 brush, you can also check out a wide assortment of paint brushes for model kit building at HLJ. My wife just finished trying out the Kolinsky Sable Brush today and the results were great. 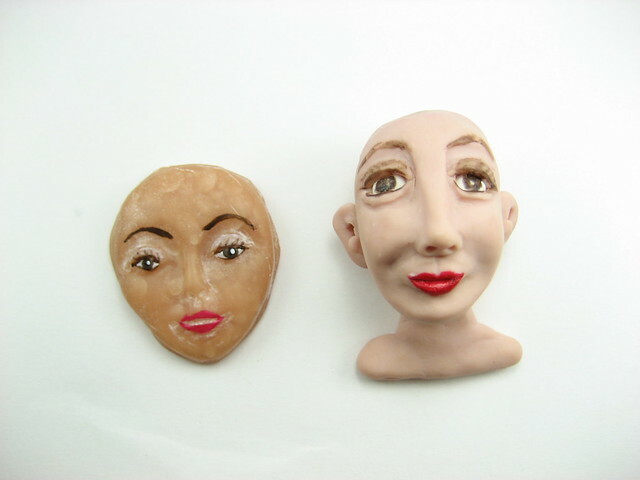 The clay face on the left was painted using the Kolinsky, while the one on the right was painted with the cheap $1 type fine paint brush. Compared to the cheap one the Kolinsky applies paint evenly on to the surface, especially when the surface to be painted is narrow.This can be seen if you compare the eyebrows and eyes of the two clay figures. The one on the right which was painted with the cheap brush has the paint breaking up. Here's a shot of the two brushes side by side. 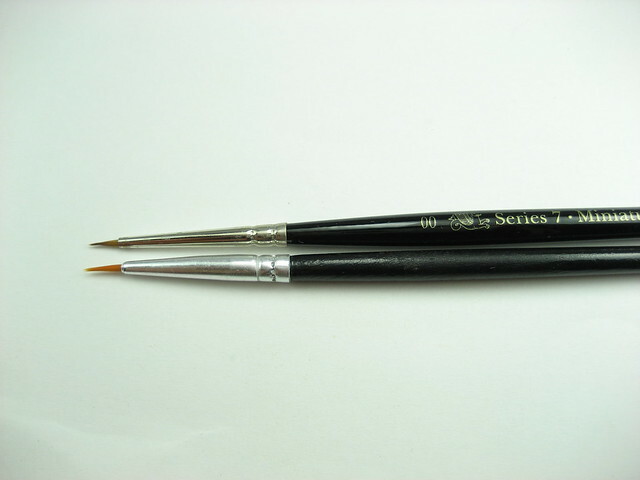 You will notice that the Kolinsky Sable brush still maintains its pointiness after painting and cleaning. 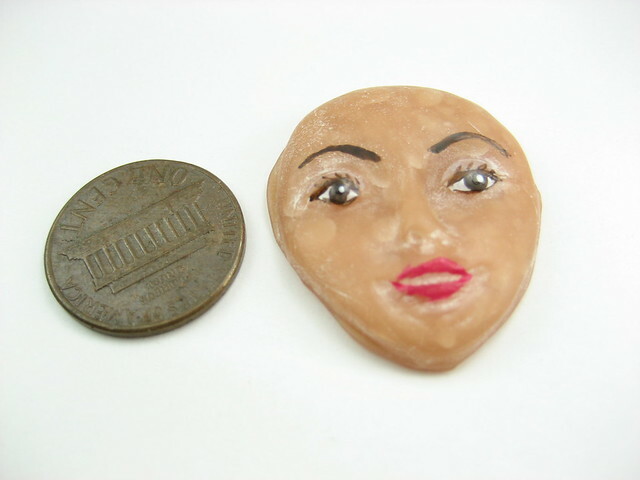 Here's a $1 cent coin beside the clay face to give you an idea how small the area that was painted on with water based acrylic paint.